When I am in Safari or Chrome and search for 1Password information by using the extension icon, there is a blank when I search for Pandora or CNN. There may be others, but I have not checked. I do not know how long this has been the case. I believe that I had to reinstall the extensions when I upgraded to Mojave. The problem occurs on both my iMac and my MacBook pro. 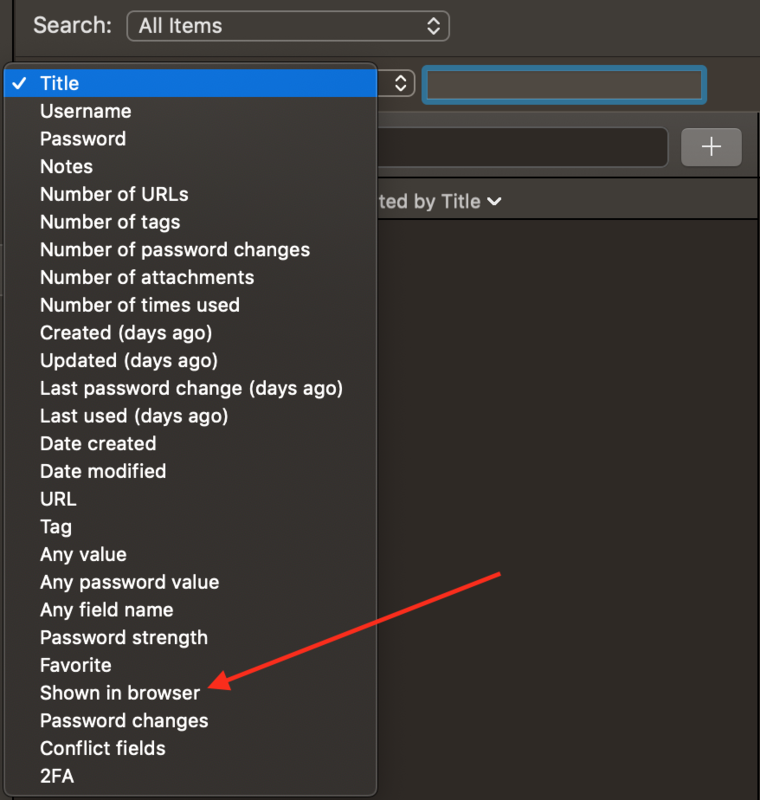 I have recently been doing a lot of changes in 1Password regarding email addresses and passwords to clean up my system, but to the best of my knowledge have not changed CNN or Pandora. Other sites are working well. I did also recently change my Apple id's if that is of interest. Please note that the information in the 1Password app appears unaffected. You'll want to double check that those items don't have their display setting set to never suggest in browser. you can do this by putting those items into edit mode in the main window and scrolling down to the bottom of the item details. Thank you so much. I had no idea such a setting existed. Is there a way to globally search to see if other entries have the same option selected? You are the Man! @BAF - glad I could help!